So it has been six years since an eventful night in my life. I can still remember quite well. I was living in the Los Feliz area of Los Angeles at the time. For three years, I was hitting the pavement in hopes of being a known musician. But something knocked me down. What knocked me down was a robbery. It was in my Los Feliz apartment. The place was ransacked and trashed and death threats were written all over the walls. Why did it happen? Because of shady contacts. Yep! Los Angeles has quite a bit. The cops were called and the chips fell. I was not in the apartment at the time of the robbery but had been there right before and left to go to a hotel in Pasadena because of a funny feeling. I thought about taking my guitars but I didn’t and so three were stolen. My apartment was broken into and a 12 String Guild acoustic, Electric Fender B-Bender and a Fender Jazz Bass were stolen. I was betrayed in a big way. I now forgive the people that were responsible. I never got the guitars back. They may be around Los Angeles somewhere. My Rickenbackers survived the robbery. I guess they are a bit holy. It is good for you to be stripped of your possessions at times. What is it anyway? Property and meaningless. I picked up my guitars again after recovering back in Texas from the whole ordeal. The door was busted open and it said something like “West Side Gangsters” written on the inside of the door. Straight into the apartment ahead was my bedroom, the door was shut but hanging on the door was a note of some kind saying something like, “We know where you are and will kill you.” My entrance was the second door on the lower level as the picture will show. I remember rightfully being paranoid while inside and found a suspicious looking thing that I didn’t know what it was. It almost looked like a handmade bomb. I called the police out again and this was in 2003 you know and the cops came out with their dogs to see what it was. It was nothing. They taped off the whole street and I sat on a wall down the street and played like I knew nothing. It was embarrassing. Old ladies were being escorted across the street and I just said, “must be a terrorism scare or something” when people would ask what was going on. So for a week, I stayed at the Westway Inn across from the Pasadena City College. It was a new low and I wondered what to do next. I had actually put a down payment down on a new apartment that was cheaper and in Van Nuys, California. When I got on the phone with mom, she said it was time to come home. I got a U-Haul and got out of there. I maxed out my Discover Card and lost the deposit on the both apartments. I hadn’t even moved into the second one. Let’s just say I was depressed as everything. Back in Texas, I didn’t pursue charges. It wasn’t worth it. I had been through enough and so had the person I was trying to help. God knows what happened and I let it go. I think I made the right decision. I wrote a song around this time about the thing I was dealing with. It’s called “Confusion, Lies, Guns, and Drugs.” The song is country-rock and I was listening to a lot of Johnny Cash at the time so it came out this way. I woke up this morning half past two. My only problem is where are you. You ran off with another guy. We’ve been through this many a time. It’s starting to be a crime. Give up the jerk with the gun. I just don’t know what you see in him. It seems like it’s just a whim. He doesn’t like you for who you are. Ya gotta clear your mind, choose the Way. It’ll be a brand new day. Give up the junk and soon you’ll see. Well I just wanted to let people know that Henry McGuinn and I have released an album on the free download site Jamendo. The songs are from 2000 when we were establishing our band the Ragas in the beginnings of the Neo-Psychedelic scene in Hollywood. I had enough foresight to let my 4-track roll. The tunes are pretty raw but I think captures the essense of the Ragas. We named our group the Ragas after sitar royalty Ravi Shankar and the style of raga rock music that the Beatles and the Byrds came up with. Basically, Henry and I would jam tunes and record them and then trek out for Indian food on the Sunset Strip. It was fun times. 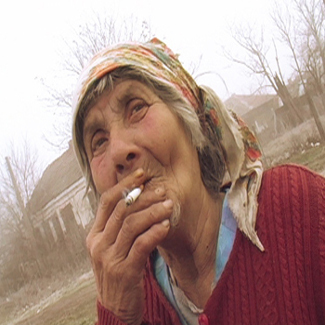 “Busted In Bulgaria” is a collection of songs that document living in a strange land. During a two year period, the tracks were all recorded in a raw stripped down way on a laptop using Adobe Audition 2.0. The songs range from psychedelic, shoegaze, folk-rock to experimental. The album is full of sound effects to add a creative vibe. Some songs even have the actual sound from students in the Bulgarian school where I have taught English in Pernik. I also sing a handful of songs in the Bulgarian language. 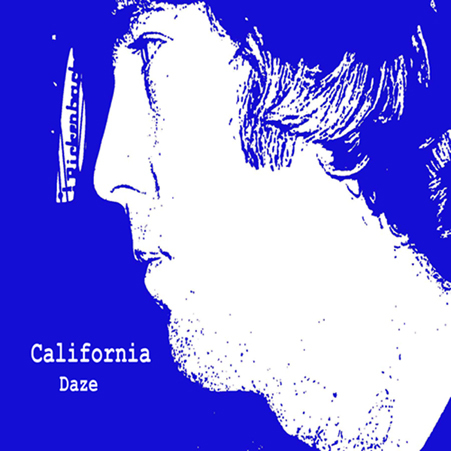 “California Daze” was recorded in Hollywood, California around 2002 by me on my 4-track recorder and later mixed with Adobe Audition 2.0. The songs pay tribute to the birth of the Neo-Psychedelic scene that emerged beginning in 2000 in Silverlake, California with groups such as the Beachwood Sparks, the Brian Jonestown Massacre, The Quarter After, smallstone, the Warlocks, the Tyde, and the Belle Isle. I play the shaker, drum machine, and sing all lead and background vocals with the help of friend Vladimir Maskov for bass. Brian McKay engineered the recording of the Beach the acoustic version. I also play all lead and rhythm guitars. The song Beach is co-written by myself and Dominic Campanella of the Quarter After. The “Swing Tune” and “Jazz Tune” are instrumentals I wrote while attending the Musicians Institute from 1999 to 2000. Here I play the lead guitar with session bassist and drummer. On the rhythm guitar is a guy from Brazil named Reginaldo. He was a student with Jim at the school. You can hear the teacher, “Mr. Lupo Groinig” giving a critique after the instrumentals end. their extended Space Echo freakout endings. 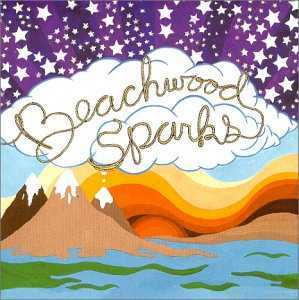 They have 3 albums out and the first called Beachwood Sparks is my favorite. I hear that the BWS is getting back together (coincidentally on Roger McGuinn’s birthday), July 13th in Seattle for the 20th year for Subpop label. I wish I could be there. The second band I recommend is called the Tyde. This band has mutual members of the Beachwood Sparks. The Tyde is more Bob Dylan or Lou Reed sounding with much reference to surfing. I’ve seen them live, too. They have 3 albums out. I like Once the best. fortunate to sit in on a Quarter After session a few years back. The Revolution Is Coming Down!!! is my favorite track on the album. It is modern psychedelia. will love the Quarter After. Or any fan of the ’60’s or good music. overdo it. Dominic’s 12 String Rickenbacker work is great. Good harmonies too by Rob and various personnel. 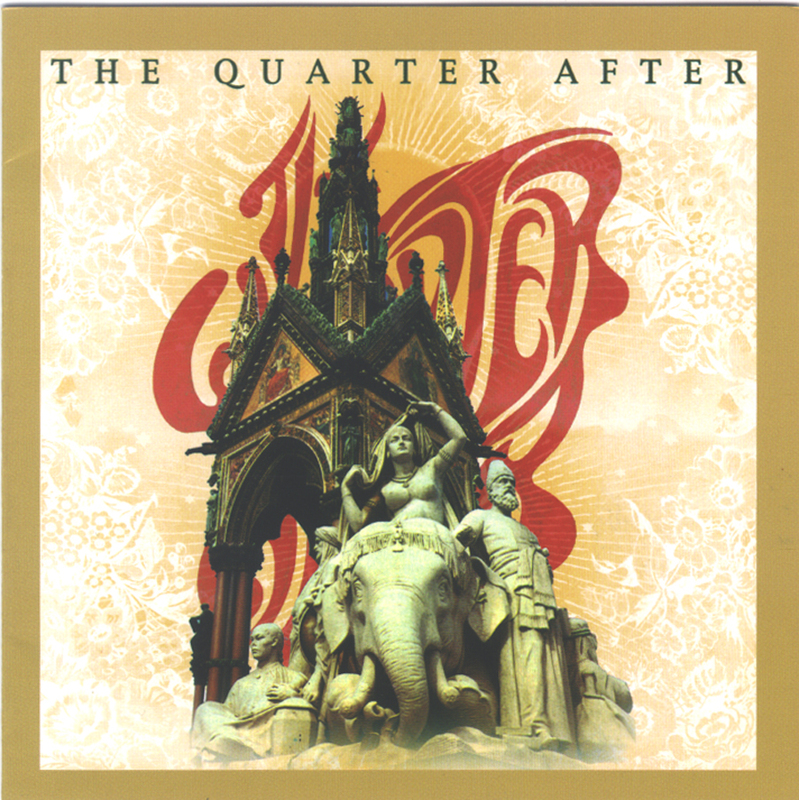 The Quarter After has recently put out their second album. I have not got my hands on it yet but will review soon. that really should take credit for this revival in psychedelic sound. They have at least a dozen albums out. They are very prolific. I hope you will check these bands out. They really cook. I drove up to the Sherman Oaks, California Guitar Center on Ventura. I had grown tired of the Guitar Center on Sunset Blvd and all the tourists. It was so loud. On this particular day, I walked in wearing my John Lennon T-Shirt that said New York City. I had gone in to look for a new amplifier. I looked around the store quickly and decided that I had seen enough. I walked out the front door and down the street and decided, no I was going back in. Inside I found a white Fender Stratocaster and got a power cord and plugged into a Fender amp. I began playing jazz chords. After a few minutes and while I was still playing a guy came up to me. We talked in the store for about twenty minutes. We spoke about the Beatles, Bob Dylan, and the Rolling Stones. I finally found someone I could relate to with this type of music. My meeting with Henry left me with renewed purpose. I seemed that I was just waiting around a bit in Hollywood to find the right people. I figured sooner or later I would find someone. I left the Guitar Center stoked, thinking of the possibilities. I guess I was a bit star-struck, too. The next day, I went to the Warehouse on Sunset Blvd. to look for some Byrds music. I found and bought 5D. It was the Byrds 1966 album that had Eight Miles High, Mr. Spaceman, and I See You on it. I listened to the album a few times and decided to call Henry. I left a message and an hour or so later he called from a pay phone. Boy I was excited, the chance to play with someone that liked the same music I did and the fact that his dad is a rock star is totally rad! The next day I met him outside at his truck. We brought up his guitar and then we walked to a Sandwich shop right up Las Palmas in Hollywood. We ate and talked music and began to get to know each other. We seemed to be on such a similar wavelength. It was kind of amazing chemistry really. After lunch, we opened up our guitars. He brought out his acoustic 12- String Martin guitar. At first, I just listened to him. He sang a few Byrds tunes. He sang Tambourine Man and You Ain’t Goin’ Nowhere and I believe he sang the Christian Life as well. At the time I had never heard the Christian Life and I was stoked on it. I was really inspired to start playing. The next few times that we met, we listened to Byrds music. At the Tower Records, I loaded up on all sorts of music that he recommended. I was really into it. I bought several Flying Burrito Brothers albums, some Gram Parsons and Lovin’ Spoonful. Our music was finally coming together. We were playing some Beatles, Byrds, and Dylan covers and some of our new stuff. He played me his cool song called Summertime that he wrote at the beach inspired by George Harrison and What You Say a song about running away and pure Byrds. I loved it. I added some rhythm guitar to it while he did his fingerpicking style soloing inspired by his father. One day Henry brought over his 12-String Guitar Instructional Video that his dad had done. On the video his dad went wild on the 12- String Rickenbacker playing his old classics. I was again blown away. Now prior to that point I had always thought that the Beatles were my number one group but I now believed that the Byrds were up there with them. It was great to learn more about music. I did not feel bad about buying a lot of records. I considered it an investment: The Who ’65, The Zombies, The Association, Beach Boys Pet Sounds, The Kinks, Gram Parsons, and the Flying Burrito Brothers. The next thing I did was to buy the Johnny Rogan Byrds biography. Henry had been talking about it. It was the only complete Byrds biography written. I found it at the Book Soup book store on Sunset Strip right across the street from Tower Records. Henry and I considered it our manual on how to live a Byrdsian lifestyle. I met Henry in February 2000 and in March South by Southwest music festival raged in Austin, Texas. We found out that Roger was playing at the Cactus Lounge on the University of Texas Campus. We felt it was a good excuse for a road trip. Before we left, Henry and I made a trip down to the Rickenbacker factory in Santa Ana. At Rickenbacker, we both waited in the reception area. Shortly after, John Hall, the CEO, came out and I was introduced. Henry told me stories of John Hall and the Beatles. John Hall had been to the Beatles’ Hollywood Bowl show in 1965 as a teenager and had met all the Beatles and the Byrds. John Lennon and George Harrison both played guitars that were given to them by Rickenbacker and Crosby and then Jim McGuinn would run down to S.A. for Rick customizations . Needless to say, Rickenbacker has had great influence on Rock & Roll. Henry’s father worked with Rickenbacker in designing a custom signature 12-String guitar with an on board compressor. What resulted was the wood colored (Maple Glo) Rickenbacker 370 Model. Henry is totally proud of his father. While Henry talked with John in his office, I sat down and looked at magazines. We were there for Henry to interview for a job with Rickenbacker. I sat and waited for fifteen minutes and then Henry returned, full of hope for the future. We said our good byes to John Hall and Henry told John that he would get back in touch after our trip to Austin. I felt on the in-crowd a bit. Rickenbacker had worked with all sorts of artists: REM, Tom Petty, Susana Hoffs, Carl Wilson, etc. I have a Rickenbacker FG 330 from those days. Henry on the 325Byrd and me on the 330 is some of the best noise ever! All the best bands play Rickenbacker. In the 1850’s, Etienne Guittard embarked on an arduous journey from France to America. It was during the California Gold Rush, and in just a few short years, while still in his twenties, this adventuresome Frenchman struck gold on the rough and tumble streets of early San Francisco. An experienced chocolate maker, Etienne had brought delicious French chocolate to trade for mining supplies, but soon discovered that wealthy miners were willing to pay premium prices for this elegant treat. Etienne sailed back to Tournus, France, where he worked in his uncle’s chocolate factory until he could afford to buy his own chocolate making equipment. In 1868, he returned to San Francisco and opened Guittard Chocolate on Sansome Street. family-owned companies that brought commerce and culture to the dusty, often lawless streets of early San Francisco, Guittard Chocolate Company is the only one that remains family-owned. For Horace C. Guittard, who succeeded his father, Etienne, running the Guittard Chocolate Company would be no less challenging. Along with most of San Francisco, the legendary 1906 earthquake destroyed the family business. Undaunted, Horace quickly rebuilt on Main Street, near the Embarcadero, where he introduced coffee, tea and spices to the family’s offering of fine chocolate. Horace’s son, Horace A. Guittard, became President of the company in 1950 and relocated the factory to Burlingame in 1955, where it became and still remains one of the foremost suppliers of fine chocolate to acclaimed professionals in pastry, confectionery and ice cream trades. Though Horace A. was instrumental in bringing the company into the era of automation, he continued to operate in the old-world tradition, producing small, carefully tended batches of chocolate and working closely with customers, tailoring products according to their needs. This visionary approach placed the Guittard Chocolate Company at the forefront of innovation for several American food trends. One of Guittard’s earliest and perhaps most important innovations was their proprietary Guittard Sweet Ground Chocolate, which was used by San Francisco’s Cliff House at the turn of the century and later sponsored a popular radio show. Cliff House Vanilla, a specialty using Guittard Sweet Ground Chocolate, may have been the forerunner of today’s trendy cafe mochas. Guittard milk chocolate chips, white chips and super-sized chips were other notable innovations as was the idea of truffles, which Guittard passed along to some of their confectionary customers. As the oldest family owned and operated chocolate company in the US, a new generation now continues to grow the company with the same indomitable spirit that has made the Guittard Chocolate Company one of the world’s most respected purveyors of premium chocolate. Rise up from the heavy sleep. You’ve been so far into the deep. Make the sweet noise for today. It will carry you the right way. Your confusion will disappear as you trust. Leave your ancient fears in the dust. They will be covered over in time. Speak your heart with rhyme. With courage, you will strum again. Unload all the trash into the bin. Set your eyes up to the sky. Always tell yourself, I’ll try try try. Dark times are there no more. There awaits you an open door. Don’t let the fear get to you. Set your heart on something true. Your fans wait with excitement. How has your time been spent? Write again about the Tymes. It’ll clear up any fog burnt mind. I am putting in a bit of my history. It’s been about five years since I was living in Los Angeles. Today, I can only think that I am really fortunate to have experienced, firsthand, the 1960’s music revival in its re-birth. The following is the letter Henry and I used when contacting clubs. The Ragas duo was formed in mid-March 2000 after discovering a major musical chemistry between us. I moved to Los Angeles from Texas to pursue my musical passion. Henry was born here in L.A. Henry is the son of 60’s icon, Roger McGuinn of the Byrds. We are influenced by the Beatles, the Byrds, Bob Dylan, the Flying Burrito Brothers, Gram Parsons and incorporate 12-String guitars, and vocal harmonies in our songs. We play both cover songs and original songs. We focus on musicianship rather than cool grooves or beats. The old school sounds are what we are focused on. Our songs range from jazz rock, country- rock, folk-rock, psychedelic, and raga-rock to name a few. At present, we are searching for a bassist and drummer to complete our band. In mid-June, we will have two English fellows visit us to most likely join the band. We switch off with lead guitar. We are so excited to be involved in the music scene in Los Angeles. We can be reached at 323-###-#### and at our address in Hollywood, California. Please find our demo tape included. 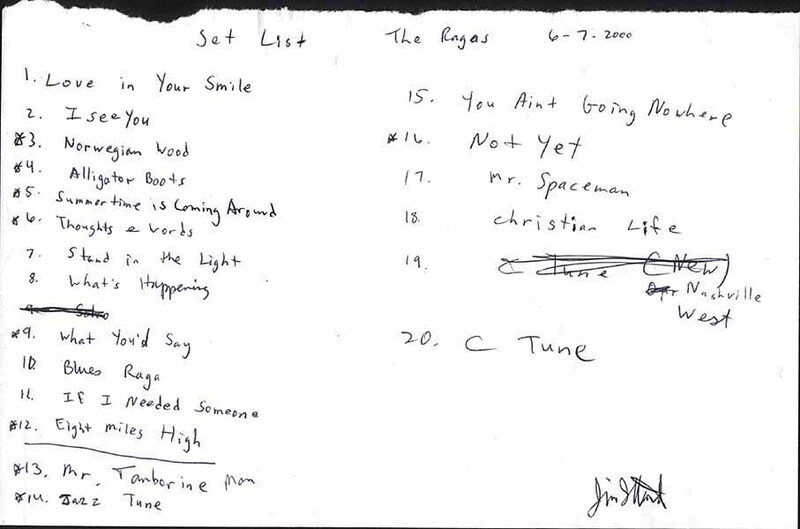 Here’s one of our setlists that I scanned. *The starred songs are the ones we played. 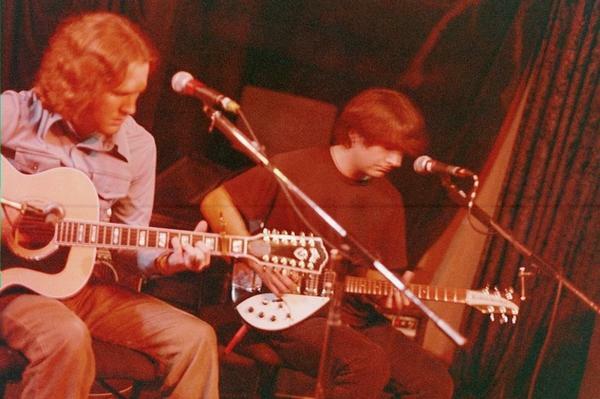 We did not play too many shows back then but we sure went to see a lot of shows by the Beachwood Sparks, the Brian Jonestown Massacre, the Quarter After, Sunstorm, smallstone, the Tyde, the Belle Isle, Whiskey Biscuit, the Snakes, and the Warlocks. Many of these bands are still around today. Smallstone evolved into the Electromagnetic led by James Ambrose. The Belle Isle disbanded and Cliff Magreta now leads Minutes Til Midnight. Beachwood Sparks unofficially disbanded in 2003 and other groups were formed in its wake such as All Night Radio with sometimes BWS drummer Jimi Hey and BWS lap steel and organist Farmer Dave. Mystic Chords of Memory was formed by BWS leader Chris Gunst and Frausdots was BWS bassist Brent Rademaker’s. Brent continued to play in the Tyde with his brother Darren. 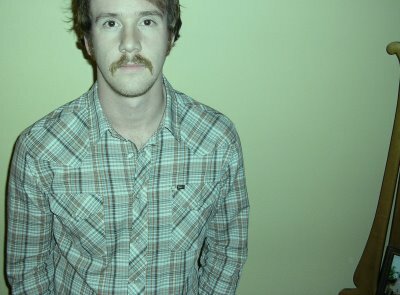 I am hopeful in seeing the Beachwood Sparks get back together. We’ll see.